Boasting a 50 sq m/538 sq ft balcony with stunning views of the Nile River and charming pool gardens, the Nile Suite is a spacious blend of legendary Old World designs with contemporary luxuries. 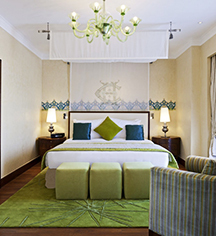 Affording a bedroom equipped with an extra-large king-size bed, Nile Suites also feature a separate living and dining area adorned with comfortable furniture, restored wood flooring, finely carved paneling, specially designed carpets, and romantic chandeliers. 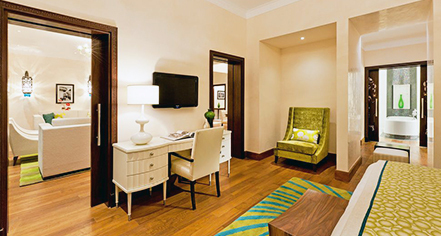 Situated on the first floor of the Nile Wing, these magnificent suites boast 138 sq m/1500 sq ft of true luxury.